God has a mission for each of us and has given us the gifts to successfully complete the purpose for which He created us. Our job is to discern our role in His creation. The gifts He has given us can be the instrument of our damnation when used against His purposes; when we discern correctly through prayer and spiritual direction these same talents and abilities can sanctify us and those around us. It’s not too late to seek God’s will for your life–in fact, we should attempt to understand His will for our every action, each day, using all the gifts his has given us. Peter Geremia was unusually gifted. He was sent early to the University of Bologna, where he passed his studies brilliantly, and attracted the attention and praise of all. On the brink of a successful career as a lawyer, he experienced a sudden and total conversion. Having retired one night, he was pleasantly dreaming of the honors that would soon come to him in his work, when he heard a knock at the window. As his room was on the third floor, and there was nothing for a human to stand on outside his window, he sat up, in understandable fright, and asked who was there. A hollow voice responded that he was a relative who had just died, a successful lawyer who had wanted human praise so badly that he had lied to win it, and now was eternally lost because of his pride. Peter was terrified, and acted at once upon the suggestion to turn, while there was still time, from the vanity of public acclaim. He went the next day to a locksmith and bought an iron chain, which he riveted tightly about him. He began praying seriously to know his vocation. Soon thereafter, God made known to him that he should enter the Dominican Order. He did so as soon as possible. His new choice of vocation was a bitter blow to his father, who had gloried in his son’s achievements, hoping to see him become the most famous lawyer in Europe. He angrily journeyed to Bologna to see his son and demanded that he come home. The prior, trying to calm the excited man, finally agreed to call Peter. As the young man approached them, radiantly happy in his new life, the father’s heart was touched, and he gladly gave his blessing to the new undertaking. Peter’s brilliant mind and great spiritual gifts found room for development in the order, and he became known as one of the finest preachers in Sicily. 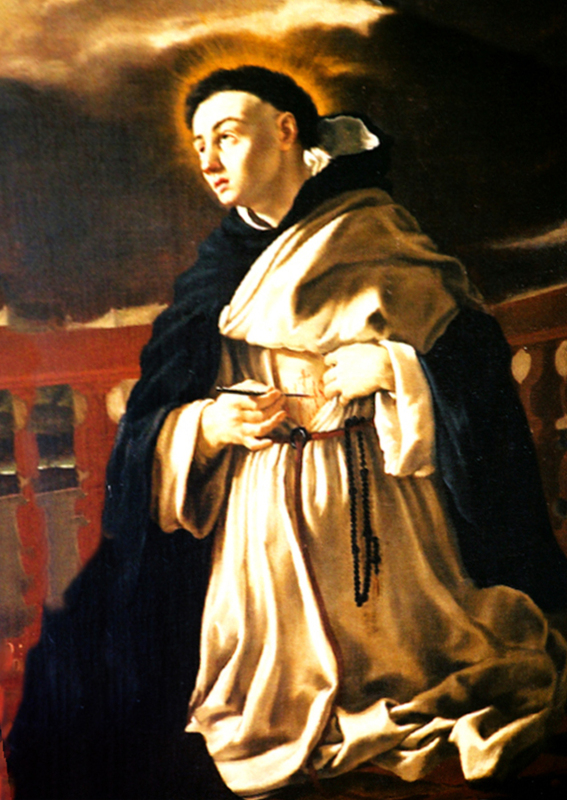 He was so well known that Saint Vincent Ferrer asked to see him, and they conversed happily on spiritual matters. He always preached in the open air, because there was no church large enough to hold the crowds that flocked to hear him. Being prior of the abbey, Peter was consulted one day when there was no food for the community. He went down to the shore and asked a fisherman for a donation. He was rudely refused. Getting into a boat, he rowed out from the shore and made a sign to the fish; they broke the nets and followed him. Repenting of his bad manners, the fisherman apologized, whereupon Peter made another sign to the fish, sending them back into the nets again. The records say that the monastery was ever afterwards supplied with fish. Peter was sent as visitator to establish regular observance in the monasteries of Sicily. He was called to Florence by the pope to try healing the Greek schism. A union of the opposing groups was affected, though it did not last. Peter was offered a bishopric (and refused it) for his work in this matter. At one time, when Peter was preaching at Catania, Mount Etna erupted and torrents of flame and lava flowed down on the city. The people cast themselves at his feet, begging him to save them. 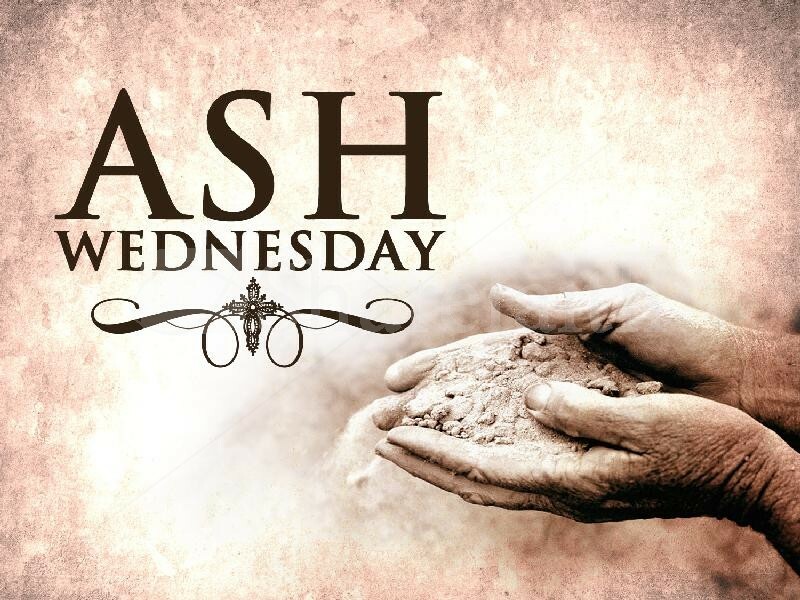 After preaching a brief and pointed sermon on repentance, Peter went into the nearby shrine of Saint Agatha, removed the veil of the saint, which was there honored as a relic, and held it towards the approaching tide of destruction. The eruption ceased and the town was saved. This and countless other miracles he performed caused him to be revered as a saint. He raised the dead to life, healed the crippled and the blind, and brought obstinate sinners to the feet of God. Only after his death was it known how severely he had punished his own body in memory of his youthful pride (Benedictines, Dorcy). From 1324 to 1327 he took a supplementary course in theology in the Dominican studium generale at Cologne, where he sat at the feet of Johann Eckhart, “the Master”, and probably at the side of Tauler, both celebrated mystics. Returning to Constance, he was appointed to the office of lector, from which he seems to have been removed some time between 1329 and 1334. In the latter year he began his apostolic career. About 1343 he was elected prior of a convent, probably at Diessenhofen. Five years later he was sent from Constance to Ulrn where he remained until his death. Suso’s life as a mystic began in his eighteenth year, when giving up his careless habits of the five preceding years, he made himself “the Servant of the Eternal Wisdom”, which he identified with the Divine essence and, in a concrete form, with the personal Eternal Wisdom made man. Henceforth a burning love for the Eternal Wisdom dominated his thoughts and controlled his actions. He had frequent visions and ecstasies, practised severe austerities (which he prudently moderated in maturer years), and bore with rare patience corporal afflictions, bitter persecutions and grievous calumnies. It has often been incorrectly said that he established among the Friends of God a society which he called the Brotherhood of the Eternal Wisdom. The so-called Rule of the Brotherhood of the Eternal Wisdom is but a free translation of a chapter of his “Horologium Sapientiae”, and did not make its appearance until the fifteenth century. The first writing from the pen of Suso was the “Büchlein der Wahrheit”, which he issued while a student at Cologne. Its doctrine was unfavourably criticized in some circles — very probably on account of its author’s close relations with Eckhart, who had just been called upon to explain or to reject certain propositions — but it was found to be entirely orthodox. As in this, so in his other writings Suso, while betraying Eckhart’s influence, always avoided the errors of “the Master”. The book was really written in part against the pantheistic teachings of the Beghards, and against the libertine teachings of the Brethren of the Free Spirit. Father Denifle considers it the most difficult “little book” among the writings of the German mystics. 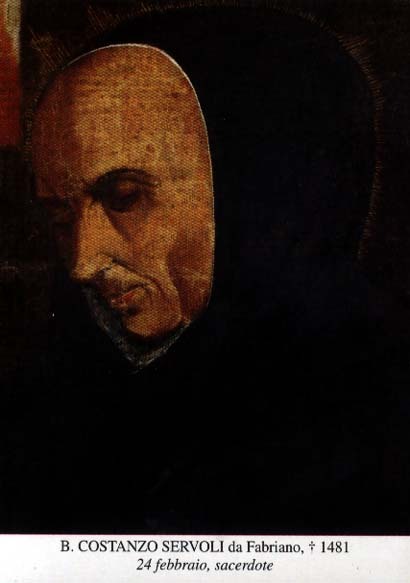 Whereas in this book Suso speaks as a contemplative and to the intellect, in his next, “Das Büchlein der ewigen Weisheit”, published early in 1328, he is eminently practical and speaks out of the fullness of his heart to “simple men who still have imperfections to be put off”. Bihlmeyer accepts Denifle’s judgment that it is the “most beautiful fruit of German mysticism”, and places it next to the “Homilies” of St. Bernard, and the “Imitation of Christ” by Thomas à Kempis. In the second half of the fourteenth and in the fifteenth century there was no more widely read meditation book m the German language. In 1334 Suso translated this work into Latin, but in doing so added considerably to its contents, and made of it an almost entirely new book, to which he gave the name “Horologium Sapientiae”. Even more elevating than the original, finished in language, rich in figure, rhythmic in movement, it became a favourite book in the cloisters at the close of the Middle Ages, not only in Germany, but also in the Netherlands, France, Italy, and England. To the same period of Suso’s literary activity may belong “Das Minnebüchlein” but its authenticity is doubtful. After retiring to Ulm Suso wrote the story of his inner life (“Vita” or “Leben Seuses”), revised the “Büchlein der Wahrheit”, and the “Büchlein der ewigen Weisheit”, all of which, together with eleven of his letters (the “Briefbüchlein”), and a prologue, he formed into one book known as the “Exemplar Seuses”. 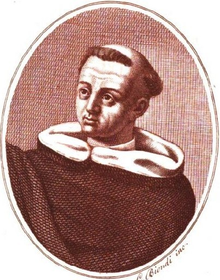 Suso is called by Wackernagel and others a “Minnesinger in prose and in the spiritual order.” The mutual love of God and man which is his principal theme gives warmth and colour to his style. He used the full and flexible Alamannian idiom with rare skill, and contributed much to the formation of good German prose, especially by giving new shades of meaning to words employed to describe inner sensations. His intellectual equipment was characteristic of the schoolmen of his age. In his doctrine there was never the least trace of an unorthodox tendency. Nothing is known of the early years of Blessed Christopher. He received the Dominican habit in the convent of San Eustorgio in Milan, Italy, in the early 15th century. He is recorded as being “holy and abstemious, humble and studious”–the ordinary virtues that we have come to take for granted among the beati; there is nothing to indicate the type of person Christopher was, or what peculiar circumstances might have led him to the Dominicans. He is noted especially for his preaching and for his gift of prophecy. The age in which Christopher lived was a rough and dangerous one, and a time for prophets and penitents to thrive. He was himself an apostolic preacher throughout Liguria and the Milanese, famous for the impact of his sermons on sinners. He had a vivid power of description and this, coupled with his gift of prophecy, made his sermons unforgettable. Christopher worked in many parts of Italy, but his name is particularly venerated in Taggia, where he spent many years. As a result of his preaching, the people of Taggia built a monastery and church dedicated to Our Lady of Mercy and Christopher became its first abbot. A great wave of spiritual revival was felt in Taggia during his tenure, but he was not optimistic about the future. In a vision he saw that most of the population would be carried off by plague. Twenty years before anyone was paying any attention to the Turks, he told the people of Taggia that Turks would invade the city, and they did, as he had prophesied. A disastrous flood swept the area, fulfilling another of his prophesies. He wrote four volumes of sermon aids, containing scriptural examples and quotations from the Fathers of the Church. In 1484, when he was absent from Taggia preaching a mission, Christopher fell ill and knew that he was about to die. He insisted on returning to his own monastery at Taggia. There he received the last sacraments and immediately died (Benedictines, Dorcy). Blessed Villana was the daughter of Andrew de’Botti, a Florentine merchant, and was born in 1332. When she was thirteen she ran away from home to enter a convent but her attempts were unsuccessful and she was forced to return. To prevent any repetition of her flight, her father shortly afterwards gave her in marriage to Rosso di Piero. After her marriage she appeared completely changed; she gave herself up to pleasure and dissipation and lived a wholly idle and worldly life. One day, as she was about to start for an entertainment clad in a gorgeous dress adorned with pearls and precious stones, she looked at herself in a mirror. To her dismay, the reflection that met her eyes was that of a hideous demon. A second and a third mirror showed the same ugly form. Thoroughly alarmed and recognizing in the reflection the image of herself sin-stained soul, she tore off her fine attire and, clad in the simplest clothes she could find, she betook herself weeping to the Dominican Fathers at Santa Maria Novella to make a full confession and to ask absolution and help. This proved the turning point of her life, and she never again fell away. 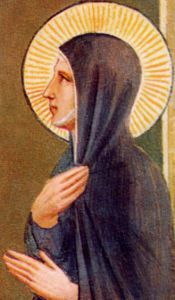 Before long Villana was admitted to the Third Order of St. Dominic, and after this she advanced rapidly in the spiritual life. Fulfilling all her duties as a married woman, she spent all her available time in prayer and reading. She particularly loved to read St. Paul’s Epistles and the lives of the saints. At one time, in a self-abasement and in her love for the poor, she would have gone begging for them from door to door had not her husband and parents interposed. So completely did she give herself up to God that she was often rapt in ecstacy, particularly during Mass or at spiritual conferences; but she had to pass through a period of persecution when she was cruelly calumniated and her honor was assailed. Her soul was also purified by strong pains and by great bodily weakness. However, she passed unscathed through all these trials and was rewarded by wonderful visions and olloquies with our Lady and other saints. Occasionally the room in which she dwelt was filled with supernatural light, and she was also endowed with the gift of prophecy. As she lay on her deathbed, she asked that the Passion should be read to her, and at the words “He bowed His head and gave up the ghost”, she crossed her hands on her breast and passed away. Her body was taken to Santa Maria Novella, where it became such an object of veneration that for over a month it was impossible to proceed with the funeral. People struggled to obtain shreds of her clothing, and she was honored as a saint from the day of her death. Her bereaved husband use to say that, when he felt discouraged and depressed, he found strength by visiting the room in which his beloved wife had died. As I reflected on today’s Gospel one person came to mind, Mohandas (Mahatma) Gandhi. He is known for practicing non-violence and liberating India from British rule through his practice of non-violence. He was a Hindu born in 1869 in Gujarat in India. He went to London to study law and was called to the bar. In 1893 he was engaged by a Muslim firm in South Africa for legal work. There were many Indians in South Africa working in the mines but unlike everybody else they had to carry a special pass. While there Gandhi developed his theory of non-violent resistance to injustice. The Indians burned their passes. After that the Indians were all fingerprinted, but through Gandhi’s efforts the South African authorities discontinued fingerprinting them. I saw the Gandhi movie when it was released some years ago and I watched a video of it again recently. In it a white clergyman, Charlie Andrews, went for a walk one day with Gandhi in South Africa. There were three white young men on the street with stones in the hands. The clergyman suggested they turn back. Instead Gandhi, a Hindu, started quoting Jesus from today’s Gospel to the clergyman, “to the man who slaps you on one cheek present the other cheek too.” (Luke 6:29) The clergyman said this was not to be understood literally, it was metaphorical. Gandhi replied saying he “suspected that Jesus meant one must show courage and be willing to take one blow or several blows to show that you will not strike back nor turn aside. That calls on something in the enemy that makes his hatred for you decrease and his respect for you increase.” It is a scene in the film full of irony. A Hindu quotes today’s Gospel to a Christian clergyman showing the Christian clergyman how Jesus’ teaching is to be lived in daily life. It is easy to resort to violence but the most courageous thing is to respond peacefully. Gandhi was assassinated in 1948 walking through a crowded garden on the way to evening prayers in New Delhi. A famous quotation from Gandhi is, “Non-violence is the greatest force at the disposal of mankind. It is mightier than the mightiest weapon of destruction devised by the ingenuity of man.” Non-violence is not being passive. Gandhi would never suggest that you silently put up with injustice. He said injustice must be fought but not with violence. In our Gospel today (Luke 6:27-38) you are not being asked to suffer hurt from anyone but to respect someone even if they hurt you. You might say to me, “I can accept that non-violence is the best way to achieve results. I can see its logic. But when you say to me to love my enemy that is a step too far.” I would respond in this way. There are many different words used for love in the Greek language in which the New Testament was written but the word for love that Jesus uses in our Gospel passage has nothing to do with being sentimental. Instead the love in our Gospel today means ‘wanting what is best for the other person.’ Jesus explains what he means by that type of love, “do good to those who hate you, bless those who curse you, pray for those who treat you badly.” (Luke 6:27-28) Loving our enemies is not avoiding them, or tolerating them or being indifferent to them. Instead it is being positive to them. That is the love David showed to Saul in our first reading (1 Sam 26). He had an opportunity to kill him but did not. From the human point of view he was foolish not to have killed him because Saul wanted to kill him, but David is an example of the love that Jesus talks of in our Gospel. You might say to me, “It is all very well for you to preach up there about loving your enemy but you don’t have a clue. If you knew what so-and-so did to me you would not be preaching about love of enemies.” This is how I would respond. When the hurt caused to us by the other person is severe we have painful memories afterwards. The first step in forgiving the other person is to heal those painful memories. As you remember the painful event imagine Jesus with you comforting you. Do that for as long or as often as you need. If the hurt is very painful the most courageous thing to do is to seek therapy or counseling of some kind. That is not a sign of weakness but a sign of strength. When memories are being healed we can forgive. You might still say to me that I still don’t have a clue and there is no way that you could love your enemy after what has been done to you. If the pain and hurt is as bad as that, and sometimes it is, I would say that forgiving in this situation is a grace or a miracle for which we need to pray. People have forgiven the most extraordinary crimes because they were graced by God to do so. It is not impossible to love enemies. If it were impossible Jesus would not have asked us to do so. 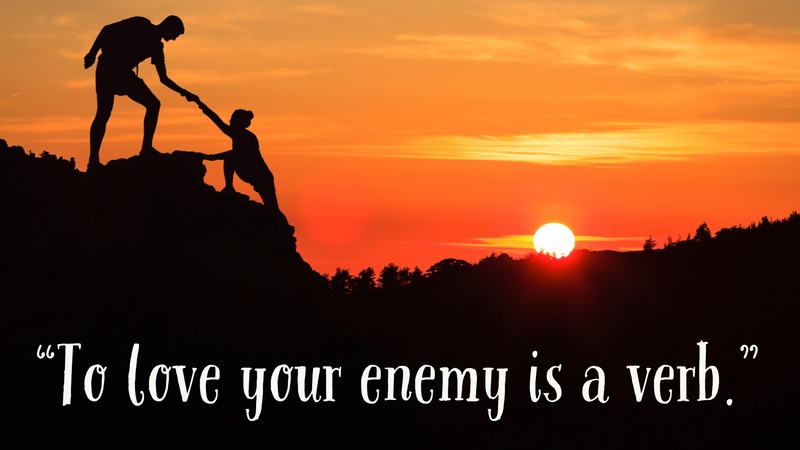 If he asked us to love enemies it is certainly possible. So let us pray for the grace to forgive. 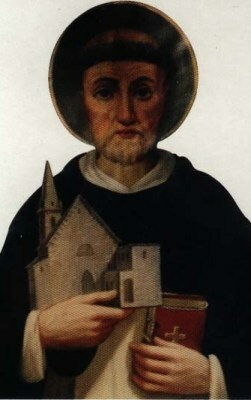 Constantius Bernocchi is as close to a ‘sad saint’ as it’s possible for a Dominican to get; he is said to have had the gift of tears. However, that is not his only claim to fame. Constantius had a remarkable childhood, not only for the usual signs of precocious piety, but also for a miracle that he worked when he was a little boy. Constantius had a sister who had been bedridden most of her nine years of life. One day, the little boy brought his parents in to her bedside and made them pray with him. The little girl rose up, cured, and she remained well for a long and happy life. Naturally, the parents were amazed, and they were quite sure it had not been their prayers that effected the cure, but those of their little son. Constantius entered the Dominicans at age 15, and had as his masters Blessed Conradin and Saint Antoninus. He did well in his studies and wrote a commentary on Aristotle. His special forte was Scripture, and he studied it avidly. After his ordination, he was sent to teach in various schools in Italy, arriving eventually at the convent of San Marco in Florence, which had been erected as a house of strict observance. Constantius was eventually appointed prior of this friary that was a leading light in the reform movement. This was a work dear to his heart, and he himself became closely identified with the movement. Several miracles and prophecies are related about Constantius during his stay in Florence. He one day told a student not to go swimming, because he would surely drown if he did. The student, of course, dismissed the warning and drowned. One day, Constantius came upon a man lying in the middle of the road. The man had been thrown by his horse and was badly injured; he had a broken leg and a broken arm. All he asked was to be taken to some place where care could be given him, but Constantius did better than that–he cured the man and left him, healed and astonished. Constantius was made prior of Perugia, where he lived a strictly penitential life. Perhaps the things that he saw in visions were responsible for his perpetual sadness, for he foresaw many of the terrible things that would befall Italy in the next few years. He predicted the sack of Fabriano, which occurred in 1517. At the death of Saint Antoninus, he saw the saint going up to heaven, a vision which was recounted in the canonization process. Blessed Constantius is said to have recited the Office of the Dead every day, and often the whole 150 Psalms, which he knew by heart, and used for examples on every occasion. He also said that he had never been refused any favor for which he had recited the whole psalter. He wrote a number of books; these, for the most part, were sermon material, and some were the lives of the blesseds of the order. On the day of Constantius’s death, little children of the town ran through the streets crying out, “The holy prior is dead! The holy prior is dead!” On hearing of his death, the city council met and stated that it was a public calamity. The relics of Blessed Constantius have suffered from war and invasion. After the Dominicans were driven from the convent where he was buried, his tomb was all but forgotten for a long time. Then one of the fathers put the relics in the keeping of Camaldolese monks in a nearby monastery, where they still remain (Benedictines, Dorcy, Encyclopedia).